"I’ve learned so much from you, Men... I’ve learned that everybody wants to live on the top of a mountain, without knowing that the true happiness consists in how this mountain has been climbed." 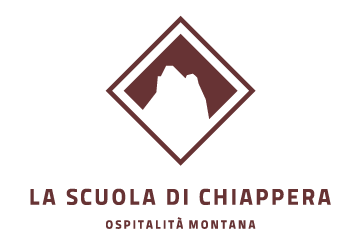 The School represents the palpitating heart of our project of Alpine Hospitality and offers its guests three classrooms, with three different accommodation types, which are joined together by a wonderful outside terrace with view on the Oronaye alpine group and on the Maira valley. The previous gym in the basement has become a Recreation Classroom, where our guests can find peace and relaxation on comfortable couches or chat with other guests, benefit from our computer with wi-fi connection, or immerse themselves in reading one of the books made available in our small library. 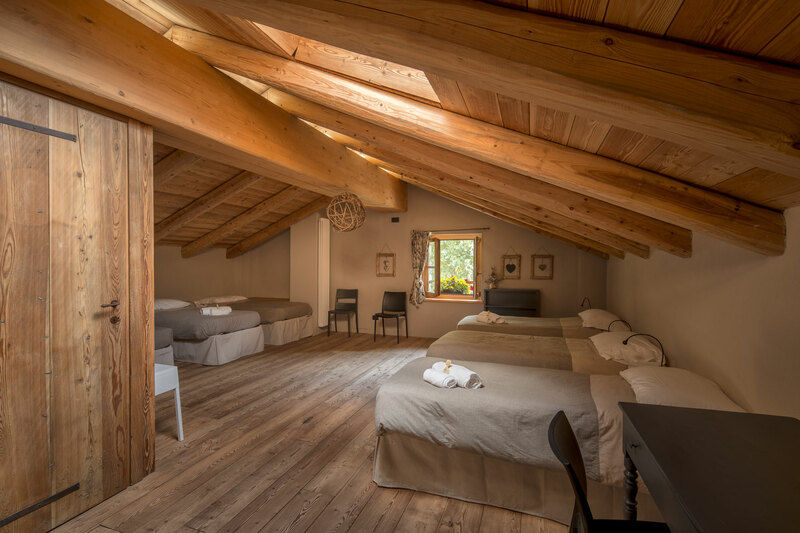 The classrooms are bright and extremely comfortable; the furniture and the finishing, made of stone or larch wood, give the rooms a warm and welcoming atmosphere. Our decorative philosophy is characterized by simplicity and love for the essential: just a little, but well done, is enough to feel comfortable and happy. All rooms are provided with a private bathroom. One of the bedrooms is also feasible for disabled guests. 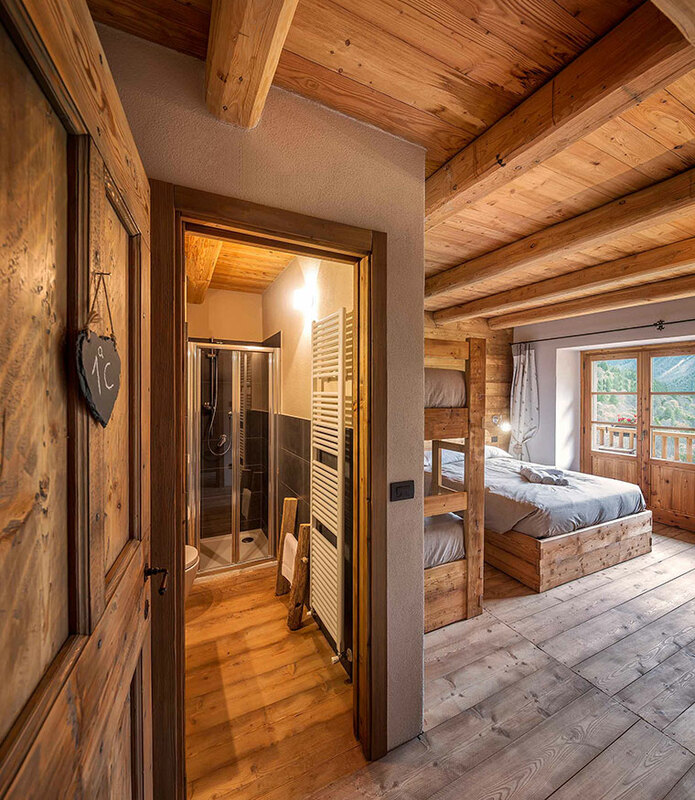 Make yourself comfortable, then hear and enjoy the mountain silence and the smells that spread out from the boiserie in larch wood. Go out on the terrace: you will get amazed by the breathtaking view on the granite mountains that surround the School. 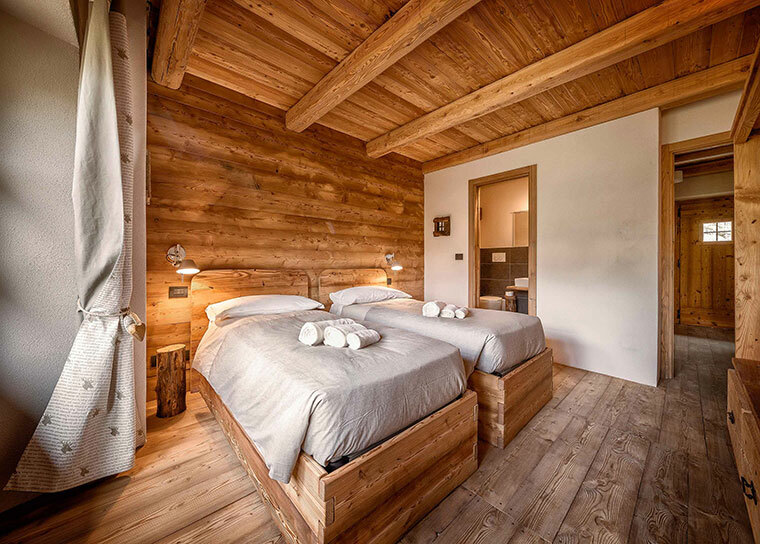 The beds lean against a warm wall made of larch wood, the whole room smells of mountain flavor and it’s a sweet shelter after an outdoor day. The small outside terrace is a cure-all for a moment of relaxation and meditation. Welcoming, warm, with a typical mountain setting. 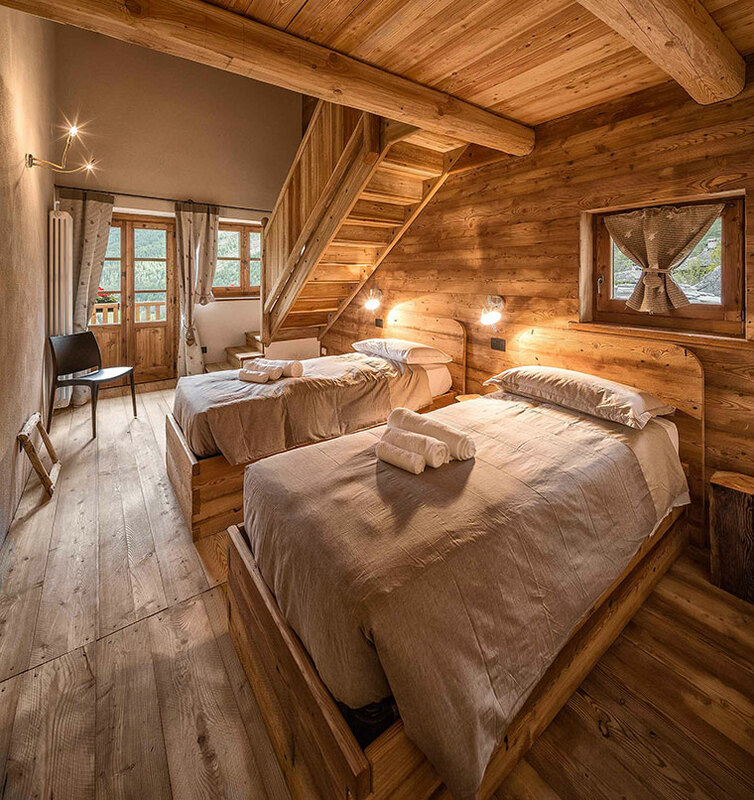 The wall in larch reaches the attic with beams in view and makes this room be a real natural jewelry. The small private terrace will let you dip yourself into a unique natural atmosphere; it seems that you can touch the mountain with your hands, you feel as you could join it with your senses. This large, bright room is also suitable for accommodating groups of people.